Recess by Narciso Desmadryl from Perkins Bacon Plates 1854 (Sept): 10 c. blue, wmk. pos. 2, the superb unused horizontal pair with ample to large margins all round, of fine delicate colour and clear impression, fresh and very fine, large part og. Small scissor cut between the stamps at top, not into the design. A splendid and extremely rare unused multiple. Cert. 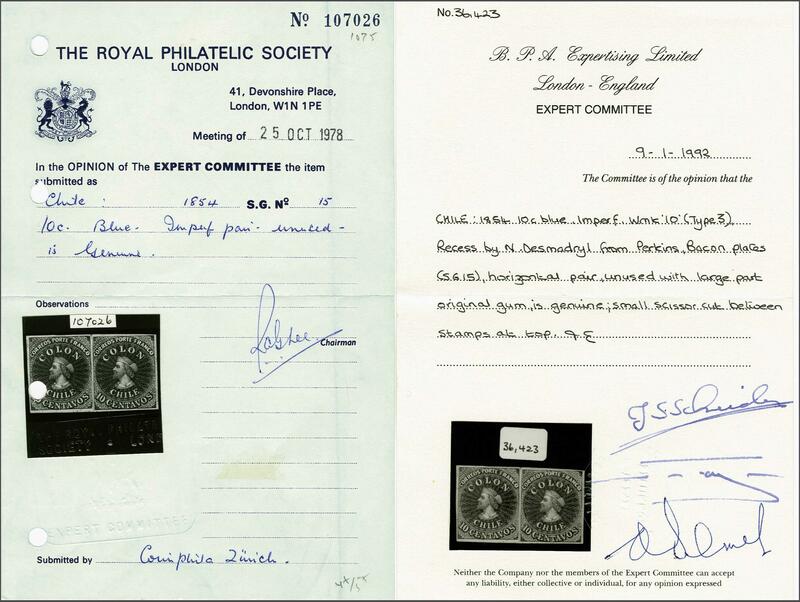 RPSL (1978), BPA (1992) Gi. 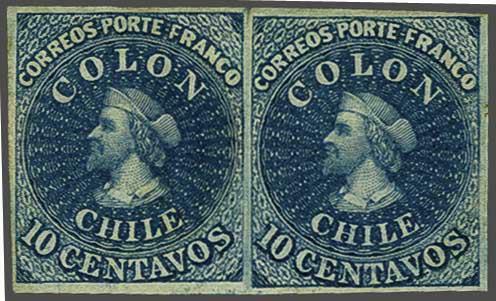 15 = £ 1'400+/Scott = $ 1'600+.rnProvenance: Collection Joaquin Galvez, Corinphila sale 62, May 1979, lot 3259; Collection Jean Dupont, Balassee, May 1981, lot 106; Collection Gerhard Blank, RL, Dec 1991, lot 1075.